Our bodies are designed to move and they love to move! Dynamic movement practices such as Yoga and 5Rhythms dance involving non-habitual movement, are now known to be especially beneficial for our holistic health. When we move our body we not only feel physically enlivened, but our moods can lighten and shift, our mind can feel more spacious and we can connect with a sense of our soulful being. The simple act of engaging in conscious movement practices has a profound effect on every aspect of our life and living. This is the power and wisdom of the moving body. 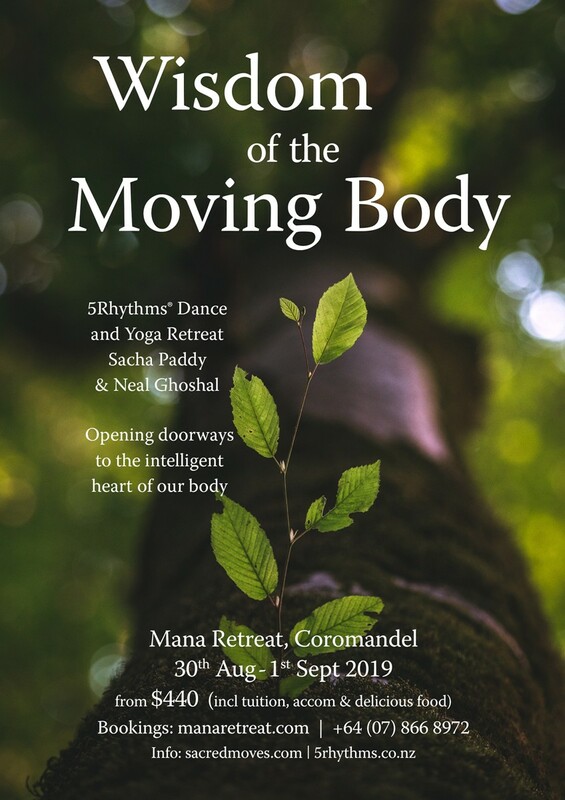 This weekend, with the guiding lights of 5Rhythms Dance and Yoga, we open doorways to the inherent intelligence of our being and our own transformative potential. This workshop is accessible to all those with a willingness to move. My intention is to bring awareness of the sacred into my everyday life, connecting to spirit through dance, yoga and massage in my own practices and in the work I do with others. My path has been one of listening to the profound teachings of nature and of reclaiming my intuition and body connection. 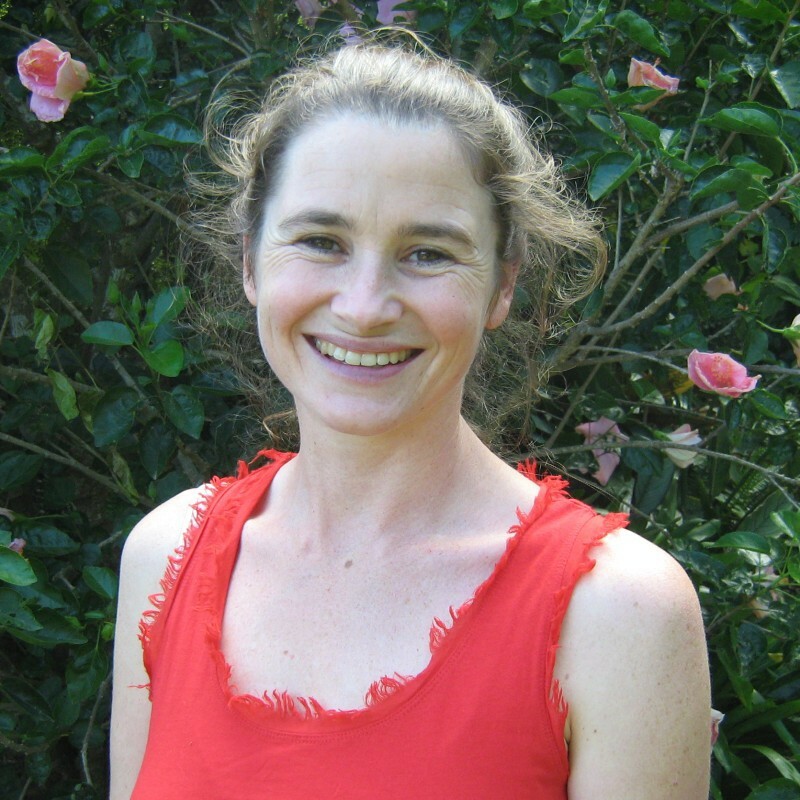 When I discovered the 5Rhythms Dance of Gabrielle Roth in 2000, I instantly fell in love with the freedom I felt as well as the potential of this practice to guide me through my life. 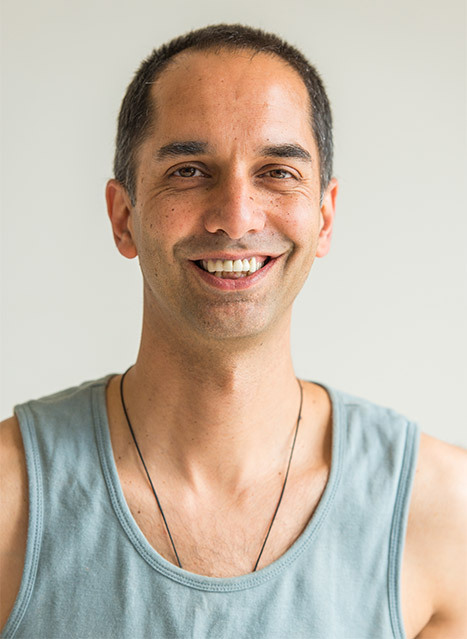 He has taught on teacher training programs in Australia and New Zealand, has been senior faculty on Donna Farhi’s Advanced Teacher Training Program, and is a founder member of the Contemporary Yoga Teacher Training program, based out of Auckland. Neal and Sacha have such a beautiful, calm presence about them and doing an amazing job of slowly encouraging the body to move and the mind to explore. Such a joyous experience – thank you! For relaxing, for nurture, for soul Mana is the place to go. The sanctuary is such a beautiful space and setting for meditation. Sacha and Neal make a beautiful team and the love and kindness between them resonates out into the group. Loving-kindness throughout the weekend with permission and encouragement to allow yourself to be yourself, and find the joy of being alive in your body, in this place, now. Beautiful. I am very grateful for the experience and leave feeling more loving towards myself. Coming to this retreat has brought me so much closer to who I am. Thank you so much Sacha and Neal – I loved it and really felt deeply the softening of my doing and connecting with my being. What a gift to be invited to listen carefully and to be led in different ways to find the connection to my own sensing. For me it was a very softening tender experience of love. The retreat helped allow myself to tap into the wisdom held inside my cells. It allowed me to move my body with wisdom and flow. Admiration and gratitude to Neal and Sacha for offering their skill and wisdom. A treat of a retreat.